Aloha attire is the standard dress attire at the Kamehameha Schools. Many employees wear the popular Manuheali’i brand. 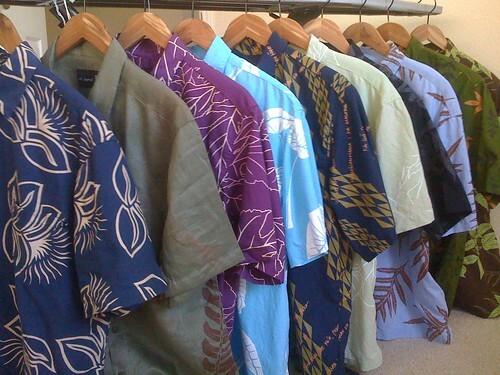 Just to be different, I wear Sig Zane aloha shirts, based out of Hilo, Hawai’i. I won’t mention that the real reason behind this is that Manuheali’i shirts make me look fat…. Pingback: Got Spirit? « musings on living aloha….